During many years of experience with experts in industry and in research and development BROCKHAUS has made a name for itself as a competent partner in the field of testing hard and soft magnetic materials. BROCKHAUS stands for measuring systems which are accurate, reliable and user-friendly. 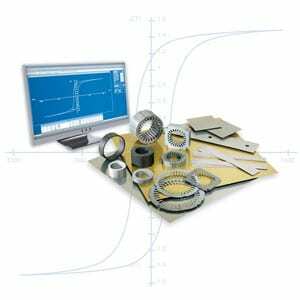 For you as a manufacturer or processor of soft magnetic materials using reliable measuring systems in quality control offers many benefits. Analyse detailed measuring data for the research and development of soft magnetic materials by simple integration into data capture systems. There is reliable provision for all the measuring processes required for quality control and quality management at incoming inspection and throughout the whole production process, in manufacturing and processing, as well as in research laboratories. It goes without saying that BROCKHAUS also manufactures individualized coil systems according to customer specifications.